When you first look at the Stars Aligned quilt, you probably see a star block made with a lot of quick corner piecing. 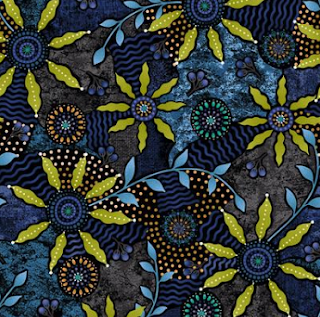 Take a closer look at the pattern, however, and you won't believe how quickly and easily this block goes together! Colleen Tauke transformed the traditional Broken Dishes block into this sparkling Stars Aligned quilt using Walkabout 2 and Leather prints. The pattern is featured in Fons & Porter's Love of Quilting Summer 2018 issue. 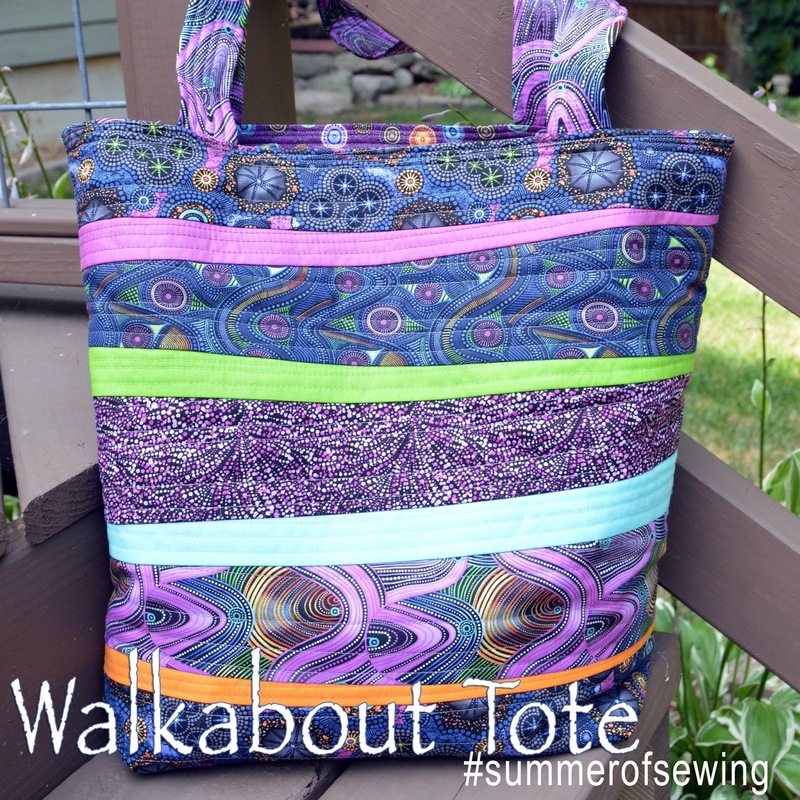 Q. Walkabout 2 has so many fun, bold prints. How did you select which one to use? Q. And how did you choose the green to go with it? CT: I looked through the Leather tonal collection to find a color that popped against the navy. I tried green and blue, and green won. Q. Tell us about the block design. CT: I wanted to take the Broken Dishes block, cut it up and make it into something completely different. 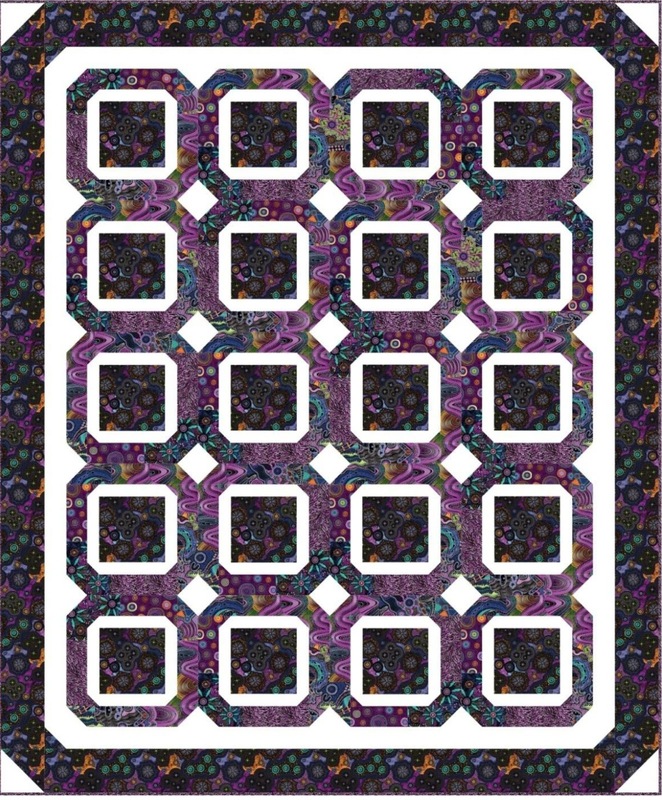 The block is cut into a nine-patch, and it can be arranged so many different ways. I really wanted to make a two-color quilt because I knew it would create a secondary design as well. Q. What’s so appealing about this design? 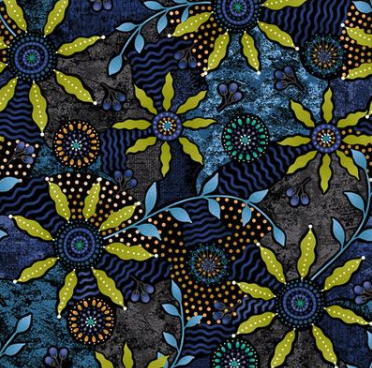 CT: It’s a perfect project if you don’t want to think too hard about what you’re making—for example, if you’re at a retreat, or an open sew with friends. You can enjoy the gathering but still be really productive. It becomes addicting. 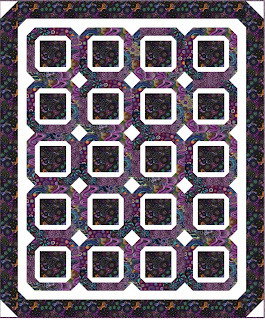 You take a super simple block and cut it up to make something more intricate. Q. How did you choose the layout for the blocks? CT: I laid out the blocks in a few different options and took photos. Arranging them in circular fashion creates an explosion from the center out. Q. 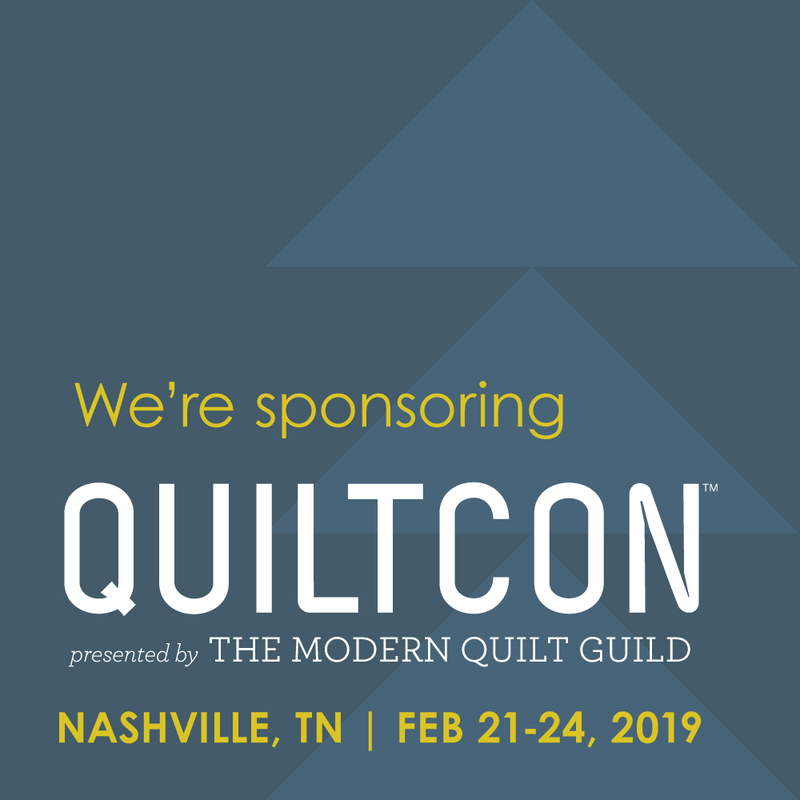 Tell us about the machine quilting. CT: It was done by a friend of mine—Laura Brenner. We chose an overall pantograph because of the arrangement of blocks. It creates curves and shadows but doesn’t detract from blocks. 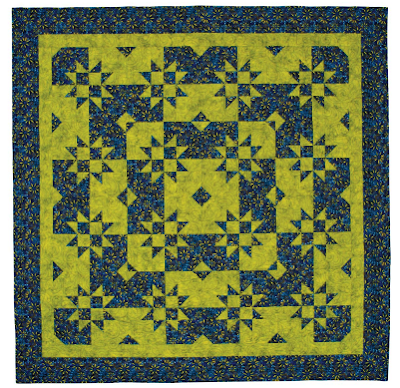 We chose a medium blue quilting thread, which adds to the depth. See the entire Walkabout 2 collection here and the Leather collection here. 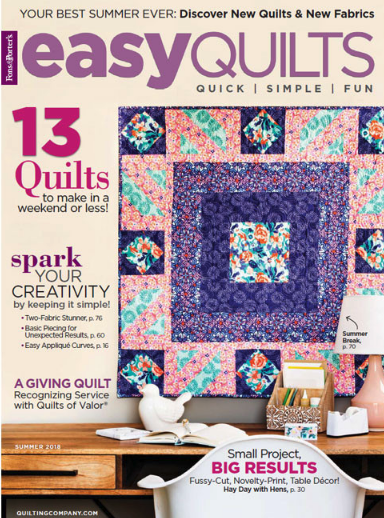 Find the Summer 2018 issue of Fons & Porter's Easy Quilts here. Love the Walkabout 2 prints? 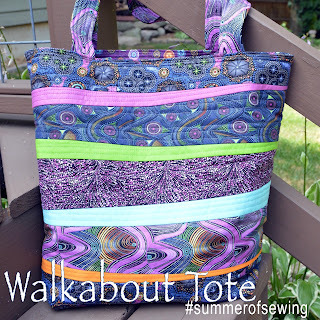 Find a tote bag tutorial here. 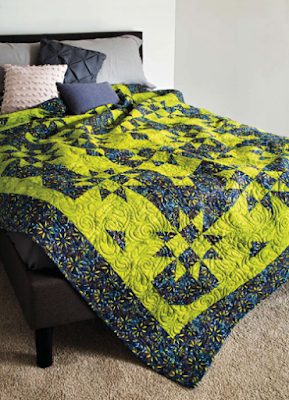 Download our free quilt pattern here.